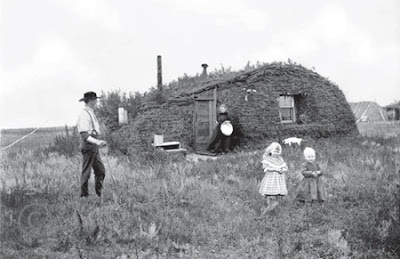 Explorers like Lewis and Clark ventured into the vast Dakotas after the lands were obtained as part of the Louisiana Purchase, but few people settled there, even after the Homestead Act was passed in 1862, allowing any U.S. citizen or intended citizen to lay claim to 160 acres of government land. Many would-be migrants may have been discouraged by recurrent skirmishes with the Sioux. The situation changed in 1874 when gold was found in the Black Hills, the rolling dark mountains considered sacred to the tribe. The discovery set off the last Sioux War. 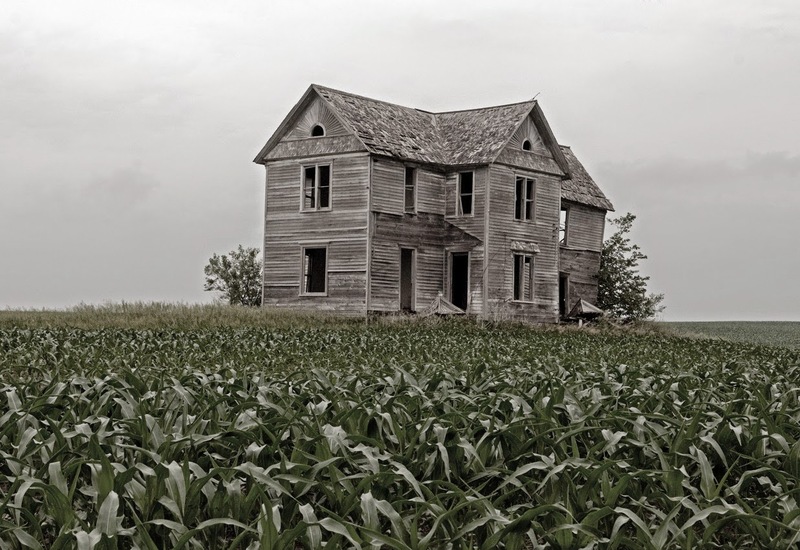 When the conflict ended three years later, homesteaders began pouring into the region, one of the last areas of the United States to be settled. Three scarce Thanksgiving menus mark distinct periods of growth and prosperity in the years that followed. 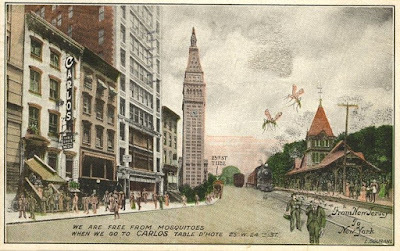 This comic postcard from about 1912 promotes an Italian restaurant named The Carlos to New Jerseyites by claiming it was “free from mosquitoes.”1 The confusing scene shows a New York cityscape on the left and a railroad platform in New Jersey on the right where swarms of mosquitoes can be seen harassing commuters standing on the platform. In reality, The Carlos was located at 25 West 24th Street, near both Madison Square Park and the Hudson Tube Station shown in the distance on the card. More interestingly, it faced the drab façade of a building across the street that hid the love nest of architect Stanford White who rented the second and third floors for his trysts, fitting the rooms with mirrored walls, a canopy bed, and a red velvet swing.2 Much of what we know about this restaurant and its bohemian spirit comes from postcards and from the diary of one of its most famous patrons. My family and I had a good time this summer traipsing through Southeast Alaska. 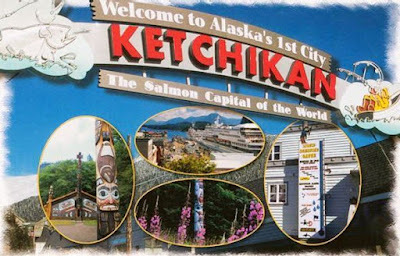 In Ketchikan, we had lunch at the Diaz Café, a modest eatery situated a short walk from the heavily touristed area where the cruise ships are docked. Despite its relative proximity to these modern-day leviathans, the colorful café evoked pleasant memories of a bygone era. Its laminated 8½- x 14-inch menu offered typical American fare on one side and an eclectic mixture of Asian dishes on the other, including chop suey, chow mein, and egg foo yong. Seeing this old-fashioned triumvirate of Chinese-American cuisine, I became curious as to when the menu was last updated. When our server told us that nothing had changed since the late 1940s, I knew we had struck gold. 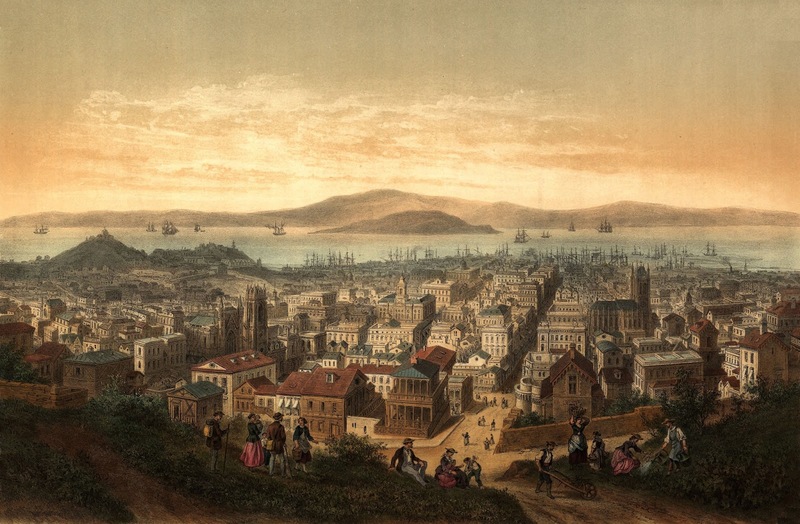 Chinese restaurants first opened in the United States during the California Gold Rush. In the early years, these modest eateries fell into two basic categories, serving Chinese food for Chinese immigrants or typical American fare for non-Chinese patrons. 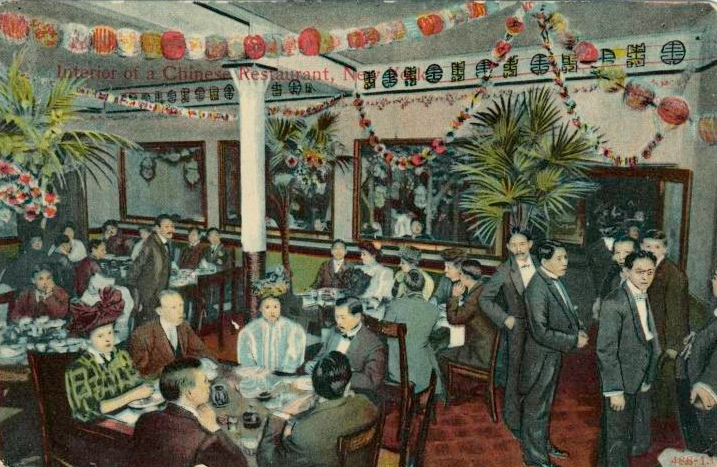 However, by the 1890s, a new style had emerged that we now call Chinese-American cuisine in which traditional Cantonese dishes were modified for the dominant American palate. Compared to traditional native dishes, this version of Chinese food utilized fewer ingredients and expressed a narrower range of textures. The most prominent adaptation was chop suey, comprising assorted pieces of meat or seafood, quickly stir fried with vegetables like bean sprouts, cabbage, and celery, and bound in a starch-thickened sauce.1 Even though this inexpensive dish quickly became popular, it wasn’t long before Chinese restaurateurs began putting a few Western-style dishes on their menus in order to appeal to the broadest possible audience. 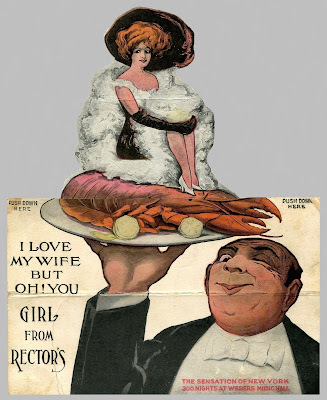 Eleven menus from the early twentieth century show how the culinary traditions of the two cultures slowly came together. 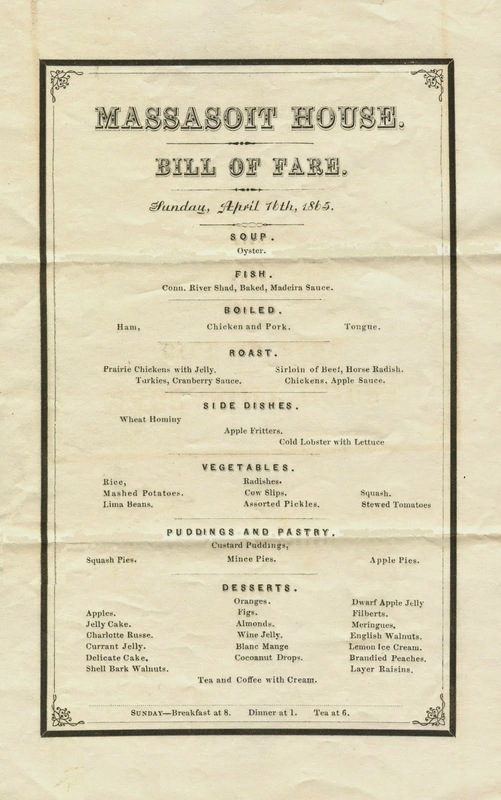 This menu comes from the Massasoit House in Springfield, Massachusetts on April 16, 1865. 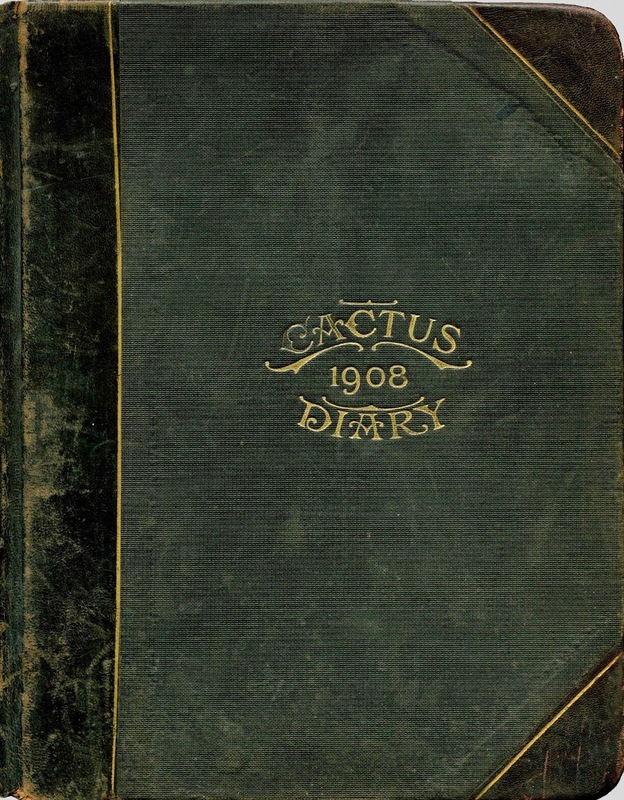 It was Easter Sunday—150 years ago today. 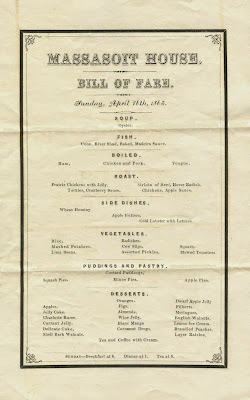 The dinner was served in the early afternoon and featured a typical selection of nineteenth-century dishes, such as prairie chickens (usually from Illinois), apple fritters, and squash pies. There were also a few springtime specialties like Connecticut River shad and cowslips, a flowering herb traditionally used for medicinal purposes. What is unusual about this menu is not the cuisine, but the design; the border seems slightly too thick for its overall proportions. During the first week of March 1865, the celebratory mood in Washington contrasted sharply with that in Richmond, where remnants of Lee’s Army of Northern Virginia clung grimly to its intricate network of earthworks guarding the city. Union forces had been pressing the Rebel lines since the summer, when Grant began this siege. Although fighting slowed during the unusually cold winter, it had never stopped. Farther south, Sherman’s army was moving into North Carolina, having completed its victorious march through Georgia and South Carolina. And in the final days leading up to the inauguration, the Confederate cavalry was driven out of the Shenandoah Valley for the last time. It was against this backdrop that the president was sworn in on March 4, followed two days later by a great ball. Perhaps the irony of this scene escaped me, for it wasn’t long after seeing this film that I entered the plastics industry. And yet, despite many years of experience in this field, it came as a surprise when I discovered that nineteenth-century menus were occasionally made of celluloid which is regarded as the first thermoplastic. Two menus from 1889 demonstrate how this synthetic material was once employed for special menus, symbolically denoting prosperity, technical progress, and civic pride. 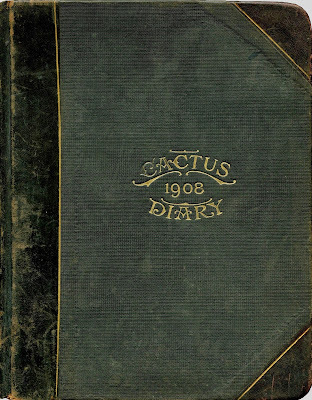 Menus from small dinners in private venues during the nineteenth century are few and far between. 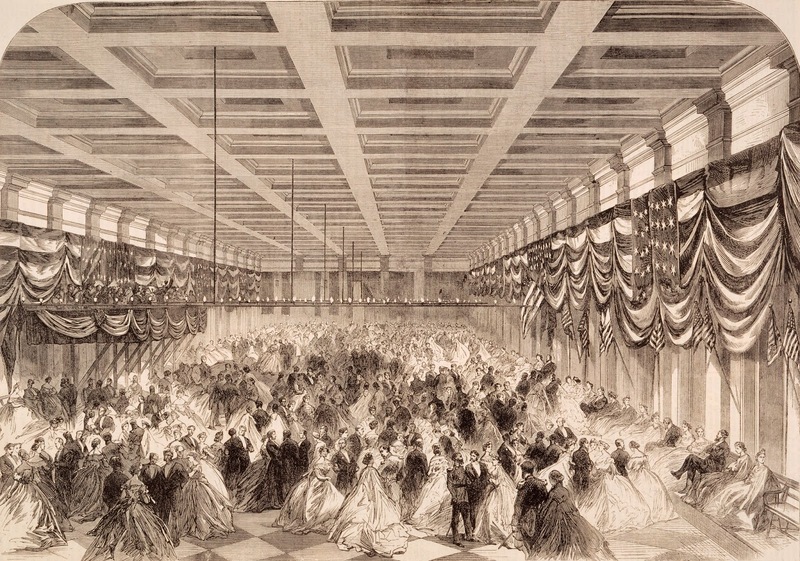 They seem to have first appeared in the late-1860s, when women’s groups began to occasionally engage the services of local printers to produce menus for church fundraisers and other social gatherings, becoming one of the ways they could make their events a little more special. Since much of the information about these get-togethers was already known by the participants, such menus often lack essential details about time and place, making them difficult to decipher. Therefore, I had low expectations when I started to research a menu from a birthday party in 1878 for a farmer named Nathaniel White. Nevertheless, with a little bit of luck, I was able to determine the identity of the celebrant, the location, and possibly even the reason why menus were printed for this occasion. One of the most interesting things that I learned about this pioneer was something that happened many years earlier. This elegant, scallop-edged menu comes from the fabled Sky Room in the old Hilton Hotel in Long Beach, California. Based on a variety of factors, I guessed that it was from the early 1940s, but pinpointing a more exact date proved to be difficult. 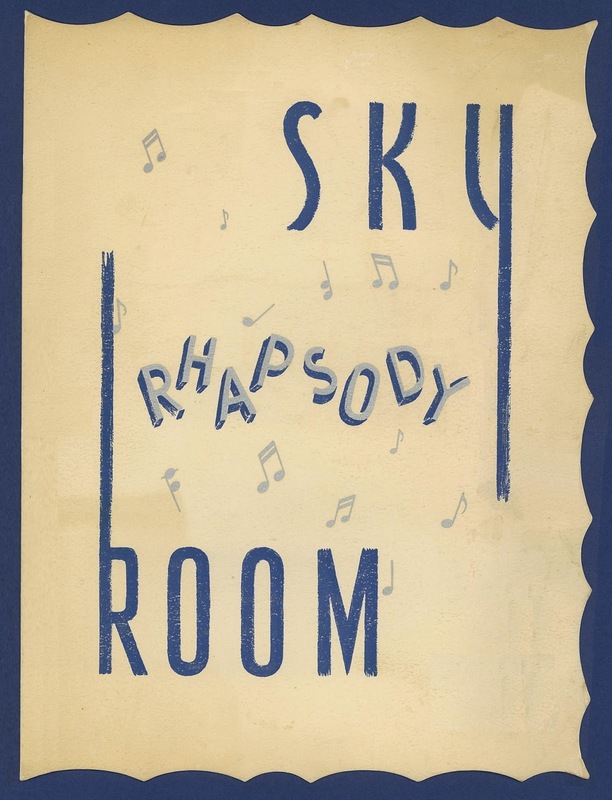 Trying to determine the year of an undated menu is never easy, and I was about to give up on this one, when the word “rhapsody” came into focus. This was the clue that I had been looking for—this menu probably originated in 1941.